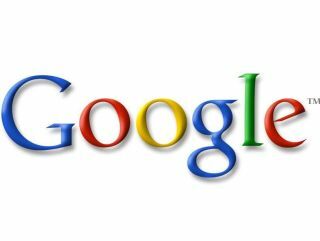 Google has responded to mounting EU pressure on privacy by stating it will 'anonymize' users' IP addresses after nine months. European Union regulators have been pushing Google to cut the time they keep personal data that can identify users to nine months, and it appears to have worked. "About a year ago, in March 2007, we announced that we would limit the retention of [certain personal data] to 18 months," deputy counsel for Google Nicole Wong told Silicon Valley's Churchill Club. "We're now going to cut that 18 month retention period to nine months. "When we went down to 18 months... we could continue to innovate with our services while still protecting users. "Our engineers have continued to work on the computer science problem around this, and they now think that after nine months, they can get most of the utility out of the data in our server logs, while giving better privacy protection." Google continued to discuss their plans in their ever-reliable official blog, and although they put a positive spin on things, there is a note of annoyance at the pressure that has been brought to bear, with the bloggers suggesting that the decrease will negatively impact their information collection. "After months of work our engineers developed methods for preserving more of the data's utility while also anonymizing IP addresses sooner," reads the blog. "We haven't sorted out all of the implementation details, and we may not be able to use precisely the same methods for anonymizing as we do after 18 months, but we are committed to making it work. "While we're glad that this will bring some additional improvement in privacy, we're also concerned about the potential loss of security, quality, and innovation that may result from having less data. "As the period prior to anonymization gets shorter, the added privacy benefits are less significant and the utility lost from the data grows. So, it's difficult to find the perfect equilibrium between privacy on the one hand, and other factors, such as innovation and security, on the other."